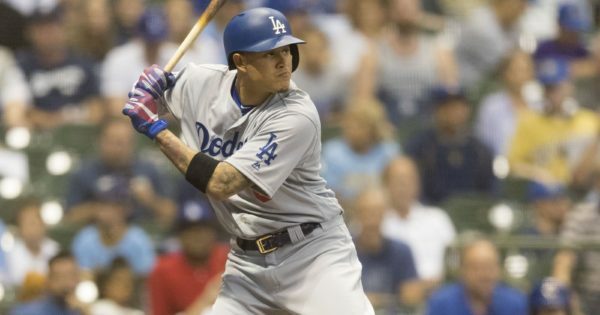 Here are some reasons why the San Diego Padres’ flirtation with Manny Machado could be scary. 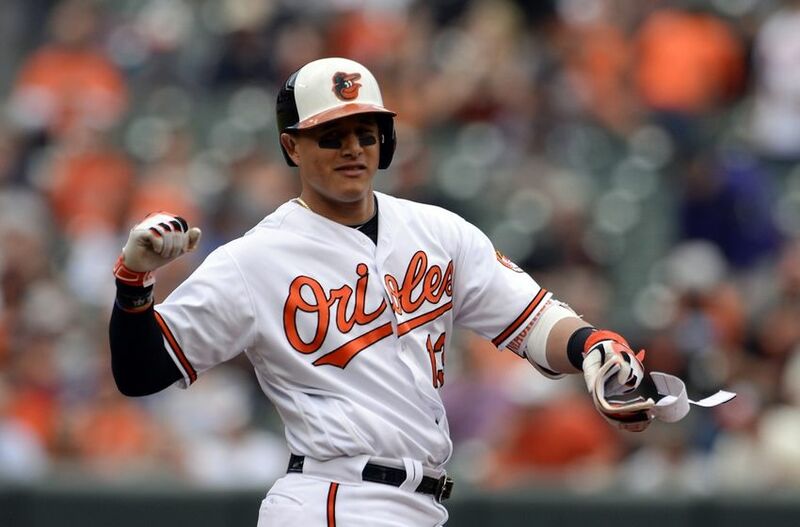 Manny Machado is one of the two MLB blue-chip free agents still available. 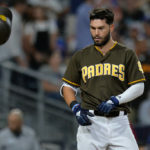 Lately, while there is a lot more focus on Bryce Harper and his connection to, and recent meetings with, the San Diego Padres. 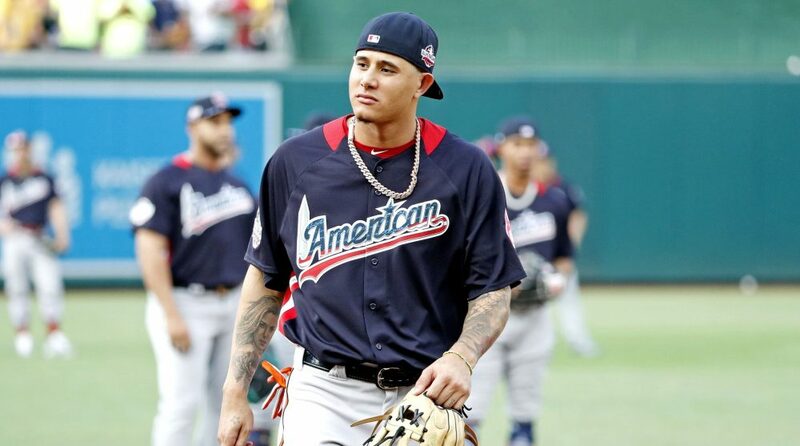 Some people continue to talk about how Machado would be a better fit because he could play third base – although he’s talked extensively about preferring shortstop. Manny Machado scares me, and I’ll show you why. First, let’s look at his career batting line (I prefer the triple slash line). In just shy of 4,100 career plate appearances, Machado has compiled a .282/.335/.487 line. That is a fantastic line for a shortstop, but it’s not quite as stellar for a third baseman. Is he a product of playing in a small ballpark? Maybe. His hitting line while playing in Camden Yards (2,808 plate appearances at Camden) far exceeds his career line (.296/.352/.536). For his major league career, he only hit .271/.319/.442 on the road. Before we jump to a place where we are dismissing that road line, his improvements as he’s matured tell us he won’t hit that weakly as a 26-year-old and beyond. Last season, after being traded to the Dodgers, he hit .273/.338/.487 (combined home & road as a Dodger in 296 plate appearances). Obviously, he improved dramatically from 2015 on (his line over his last four years is .284/.345/.511) but even then, what will he hit away from Camden Yards? 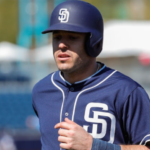 Last year for the Padres’, Christian Villanueva hit .236/.299/.450. Obviously that batting average isn’t ideal, but do you realize if we are just looking at on base & slugging numbers, Villanueva trailed Machado’s career road numbers by only 20 points (which is actually quite a bit). Is that the guy the Padres want to give a seven or eight-plus-year contract? A deal that will average or maybe even exceed $30 million per season? Ok, “That’s not fair,” you say. “He hit better than that his last four years,” you argue. How about his .273/.338/.487 with the Dodgers? His .825 OPS would rank 16th among third basemen last year. Again, worth $30 million a year? He is somewhat likely to hit better than his career .822 OPS rate, but I don’t expect him to even approach his cumulative .905 OPS rate he hit in 2018. Especially if Petco is his home park. I will acknowledge that Petco is less harmful vs. right-handed hitters than lefties. Machado reminds me of another third baseman; a sublime defender, Adrian Beltre. Now before you get excited about that comparison, realize this: Beltre was a study in unfulfilled promise when he played for the Dodgers early in his career. Then, heading into his free agency year, he posted a 1.017 OPS (nearly 200 points higher than his previous best). On the heels of that season, he signed a big deal with Seattle and promptly went back to posting OPS rates in between .683 & .802 for five years. It wasn’t exactly a Hall of Fame trajectory. Then in his 31-year-old season, he played for Boston and finally righted the ship. The next year he signed with Texas and became the guy we all know and love. But what about those lean years in Dodger Stadium and Safeco, big home parks? 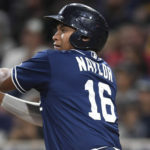 Is there anything we’ve seen statistically that tells us we won’t see an Adrian Beltre-esque fall into mediocrity with the Padres? As I said, Machado scares me. 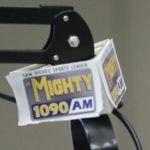 Previous Can Logan Allen & Cal Quantrill Make the Major League Roster Out of Spring? 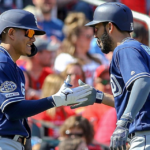 Next How are Padres Still in the Machado/Harper Sweepstakes? But I don’t expect AJ to get this right because he has been one disaster after another. Traded Turner for Myers, then extended Myers. Signed Hosmer who just posted his worst ML season at -0.1 WAR for $144 Mill. Took a ridiculous conract off of the Yankees in Headley of $13 Mill to get Mitchell who will be DFA’d by the end of 2019. He will probably not get anyone, Harper, Machado, or Realmuto but if he signs Harper and dumps our Young OF’s, keeps Myers, he will NEVER lead this team to a WS TITLE. I totally disagree with this article. 3B us a much more important position than corner OF. Then look at our current 40-nan roster and throughout the system and we don’t have one serviceable 3B anywhere. Much less super star. Machado is very consistant. Harper on the other hand has backslid since his MVP season in 2015 as Machada has continued to improve. Machado career WAR is 30.2 and Harper is 30.7 by Fangraphs. But if you subtract each of their best and worst seasons, Machado has averaged 4.5 WAR over the 5 years and Harper has only 3.6 WAR. 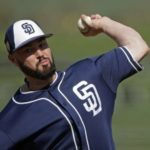 Plays a superior position and one of extreme need by this Padres Organization. 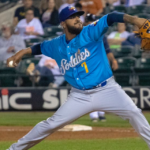 I would much rather the Pads sign Moose as a free agent, he is solid, he does not have the baggage that Manny carries and he will hold the corner as good if not better than most. Did we not learn from Kemp, Norris, Shields etc…. Good points. I saw on MLB Network today that Harper is projected an 11 WAR projection difference between him and Machado over a 10 year contract. Which is very surprising considering Machados defense. I agree with you Peter about Machado. This is definitely a realistic view of him as a player. Reminds us to be careful before paying anyone 30 million a year. Thanks for the great article!! My favorite comparison regarding Machado and Harper was from an anonymous GM who was pro-Manny, but talked himself out of it. He said (according to a baseball writer) Machado will give you 8 all-star appearances and an MVP in ten years; Harper will give you three MVPs, five all-stars and two years where you wonder ‘what the heck happened there?’. I’d take my chances on two ‘what the heck happened’ for three MVPs. Even casual observers realize that a huge portion of Machado’s value is on defense. Why is that cause for concern? He is not the hitter Harper is, but very few are. Over the last 6 years (all of Machado’s career) he ranks 15th in all of baseball in WAR. This is an elite player. That so much of his value comes with the glove is, with such a young pitching staff, exactly what’s needed. And as your article does make clear, his offensive numbers are trending upward. So we should be nervous because 5 years ago he wasn’t as good as he is now? Seems like the opposite should be true. And to even remotely compare him to Villanueva is silly. Machado is an all star, a great player, destined for the Hall of Fame. Villanueva was a scrub, sold to a Japan league team. Or are you suggesting Machado head to Japan? Yeah, but to be proud of slander and false accusations? As long as falsehood and wrongdoing is hurting certain people it is deemed to be good, as well as something to be proud of? Never mind that it hurts everyone, including any success in fighting against actual racism, bigotry, ect.